*Note: New history information will be posted when more research is done. 1. 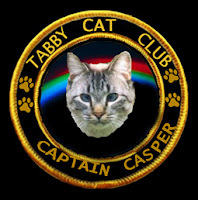 November 2011 ~ One day when I was noticing that there were clubs for special breeds of kitties I was wanting to join up with the tabby gang. 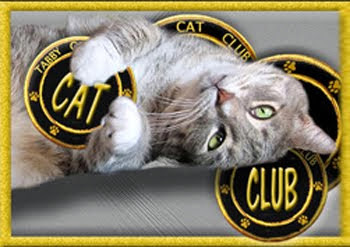 I keep searching and found that I could not find that there was a tabby cat club. Hummmm, I say. Then I sent some emails out thinking I would get pointed in the right direction. Well the emails that came back everyone that I had written to said that there was no club for the tabbie kitties to join. I just didn't think this was right, I thought we needed a special place where the tabbie kitties could come together to post, play, and have fun. That was when I decided to start the club. 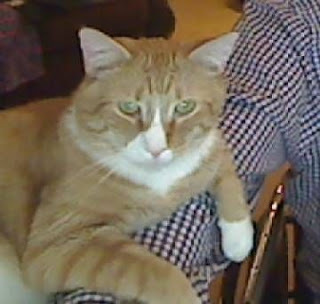 So I got the blog going and now needed some technical support. I knew right away who I wanted to help me so I contacted Percy and Rusty, JFF (Micah would come on board to help later). Percy, Rusty, and Micah keep the blog looking fantastic with the special backgrounds, working on headers, and they set up the whole blog. They also help my mom out whenever she gets into trouble with things, which doesn't take much to mess her up. 4. 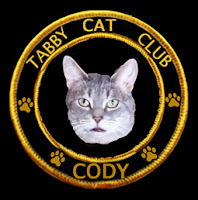 19 November 2011 ~ Cody was first member to post at the TCC. "Proud to join you." 5. 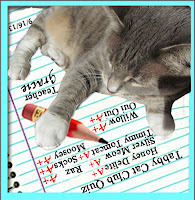 23 November 2011 ~ The first event scheduled was a fascinating event featuring whiskers, hosted by Gracie. Eleven member participated in WHISKER WEDNESDAY: Socks, Moosey, Percy, Rusty, Nicki, Derry, Missy Blue Eyes, Audrey, Simba, Clementine, and Lucy. 6. November 2011 ~ First membership update. ". . . We are now up to having twenty-six members in our club." 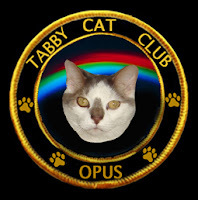 Membership roster ~ Gracie, Rusty, Percy, Nicki, Derry, Missy Blue Eyes, Socks, Lucy, Clementine, Grace, Mahoney, Maggie, Tabatha, Tees, Cody, Moosey, Simba, Audrey, Abby Normal, Mousie, Archie, Opus, Sassy, Wendell, & Wally. 7. 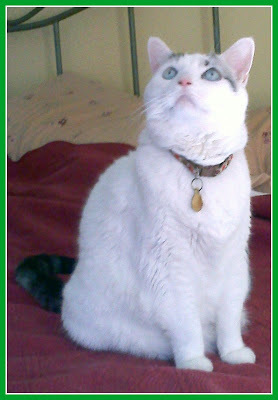 2 DECEMBER 2011 ~ Opus, my nephew, today went to the bridge. He is the first of our members to go to the bridge since the club was founded. It is with a heavy heart we say until we meet again. Be free dear one. 8. 3 December 2011 ~ SLEEPING TABBIES hosted by Socks. Eleven tired tabbie kitties catching zzzzzs: Socks, Lucy, Derry, Moosey, Simba, Cody, Grace, Maggie, Mousie, Archie, & Clementine. 9. 16 December 2011 ~ GETTING READY FOR SANTA hosted by ??. Waiting for Santa were eleven tabbies: Gracie, Socks, Nicki, Wendell, Moosey, Grace, Simba, Audrey, Clementine, Moosey, & Grace. 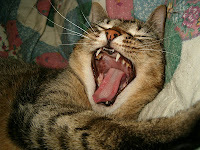 Tabitha shows us the art of the yawn. 1. 23 January 2012 ~ First event in 2012 hosted by Gracie was: SHOW US YOUR YAWN. Seventeen members participated: Cody, Socks, Gracie, Clementine, Mossey, Grace, Lucy, Kizzie, Simba, Tamir, Maggie, Archie, Yoko, Tabitha, Wendall, Casper, Missy Blue Eyes, & Callie. 2. 14 February 2012 ~ 100th post ~ Posted by Oui Oui: "Sending kittie kisses, head bumps, and chocolate mousies to all my friends! May you find year heart's desire. Happy Velentine's Day." 3. 20 February 2012 ~ Carmine was first to celebrate a belated birthday at the club: "Carmie's birthday was on Saturday!! We have a collage of pictures over at our blog of him if anyone is interested in seeing some of his memories." 4. 23 February 2012 ~ BROTHERS & SISTERS hosted by Sassy. 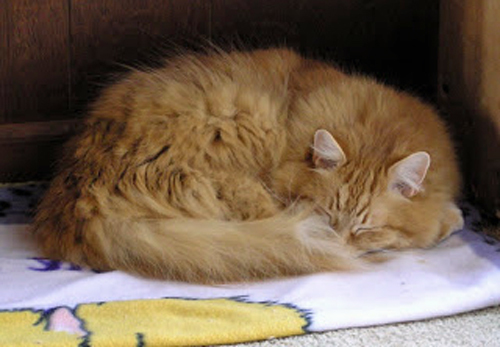 Having their change to give up secrets about their siblings we had twenty-three tabbies posted: Callie, Oui Oui, Tamir, Ellie, Cody, Socks, Derry, Nicki, Moosey, Hannah, Luch, Padre, Cookie, Caramel, Sunny, Sky, Tommie, Simba, Kizzie, percy, Rusty, Grace, & Gracie. 5. 6 March 2012 ~ G-RATED BATH TIME hosted by Gracie. Seventeen members allowed the camera to catch them at their most private time: Tamir, Cosmo, Ling, Cody, Casper, Oui Oui, Nicki, Moosey, Lucy, Mousie, Simba, Gracie, Wendell, Tommie, GT, Socks, & Clementine. 6. 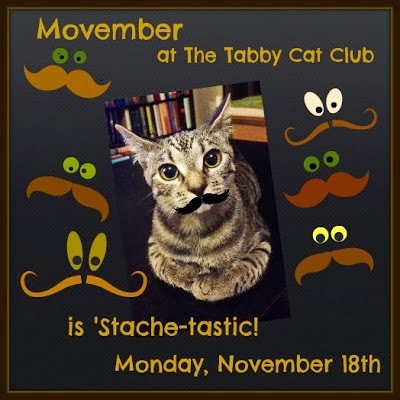 20 March 2012 ~ TUESDAY TABBIE TAILS hosted by the Tabby Cat Club. 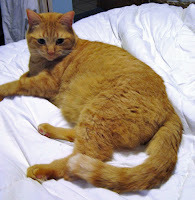 Sixteen cute tails were posted about: Tamir, Cody, Nicki, Tenzing, Moosey, Cosmo, Ling, Grace, Kizzie, Hannah, Wendell, Gracie, Oui Oui, Clementine, Socks, & Mousie. 7. 4 April 2012 ~ 200th post ~ Posted by Tommie. " I was living in the woods with my Momcat, brothers, and sisters. I was the runt of the litter and never seemed to get enough to eat . 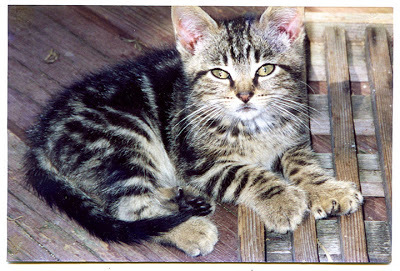 . . My Mom cat ray away with my brothers and sisters and left me . . . but the lady had some yummy food and called me. I went to her, she picked me up, and it was love at first sight. That was 14 years ago." 8. 21 May 2012 ~ Captain Casper our dear friend had gone to the bridge. He will be missed by all of his tabby friends. Run free sweet one. 9. 13 JULY 2012 ~ 300th post ~ Posted by Sassy. "Everyone is invited to my 2nd birthday pawty !!" 10. 20 September 2012 ~ Tamir has run off to the bridge today. 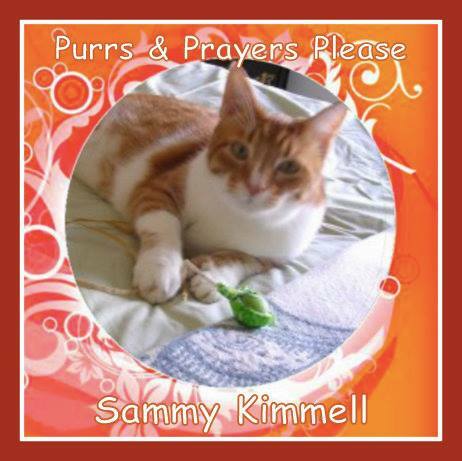 My heart is heavy with sadness that my mancat had to leave too soon. I will forever keep him in my heart, we were just getting to know each other when he had to leave. I am glad that we had the time though it was short to spend together. Until we meet again my love. 11. 4 OTOBER 2012 ~ 400th post ~ Posted by Dexter. "I forget sometimes that I have never seen an October on the blogoshphere before . . . I was sooooo confused! But my friends here at TCC straightened me out so here they are the best pictures I would let the momma get." 12. 7 December 2012 ~ Joey is our third tabby to run off to the bridge this year. Our hearts are sad as our dear friends have left us. We know one day we will see Joey and our other friends. Be free and run free. 13. 11 December 2012 ~ 500th post ~ Posted by Moosey. "My Christmas Wish." 1. 3 March 2013 ~ 600th post ~ Posted by Timmy Tomcat. "Dr. Seuss Day With Rumpy Bump Stumpnots." 2. 15 March 2013 ~ Beware the Ides of March hosted by Sparky Spitfire. Seven dared to post for the Ides of March: Raz, Oui Oui, Lucy, Sparky Spitfire, Socks, & Timmy Tomcat. 2. 27 March 2013 ~ Easter EggSederGanza hosted by Kizzie. Seven tabbie kitties participated in this fun event for spring: Kizzie, Moosey, Raz, Wendell, Rocio, Spyro, Gracie, & Raz.
. 8 April 2013 ~ Bed Wars hosted by Oui Oui. 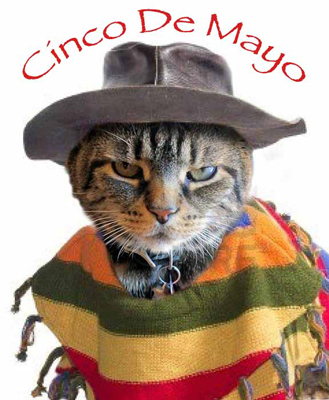 You would need the united nations to help out the sixteen that are at war over the bed: Raz, Oui Oui, Socks, Moosey, Grace, Dexter, Gracie, Timmy Tomcat, Abbi, Wendell, Oja, Rocio, Spyrco, Kjelle bus, Callie, & Clementine.
. 5 May 2013 ~ CINCO DE MAYO PARTY hosted by Tommie. Thirteen tabbie amigos participated in this fun event: Tommie, Raz, Gracie, Timmy Tomcat, Kizzie, Grace, Simba, Audrey, Joe (Mahoney's brother), Derry, Nicki, Moosey, Socks, & Oui Oui.
. 17 May 2013 ~ Here's Looking at You ~ hosted by Gracie & Raz. Six cute tabbie faces to view at this event: Nicki, Derry, Raz, Grace, Clementine, & Timmy Tomcat.
. 20 May 2013 ~ 700th post ~ Posted by Ducky. 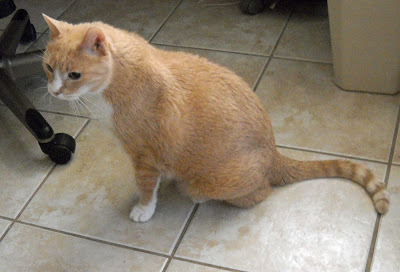 "Ducky's Gotcha Day Story."
. 3 June 2013 ~ WHAT MAKES YOUR HOMETOWN SPECIAL another fun event was hosted by Oui Oui with eighteen tabbies posting all about their towns: Bambino, Oja, Spyro, Derby, Ducky, Tabitha, Kizzie, Grace, Dexter, Kjelle Bus, Moosey,, Guido, Target, Timmy Tomcat, Socks, Oui Oui, Raz, & Abbi Leah.
. 17 June 2013 ~ The Tabby Cat Club membership is now at 75 members. Jose put our membership at 75 with her request to join the club.
. 17 June 2013 ~ BABY PHOTOS was the event hosted by Raz with seven tabbies showing their baby shots: Raz, Gracie, Kjelle Bus, Nicki, Derry, Socks & Timmy Tomcat.
. 18 June 2013 ~ Chapter III names by Grace, "Milestones". Grace thought Milestones was a good choice because we reached some interesting milestones so far this year . 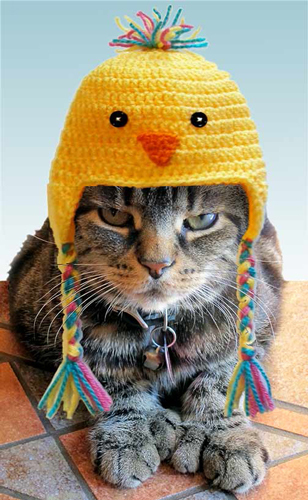 . . number of posts, number of members . . .
. 18 July 2013 ~ Our membership is now at 80 with Zoe from the Frum family joining up along with her siblings.
. 22 July 2013 ~ Cats In Hats hosted by Tommie with eleven fashionable tabbie kitties participating: Raz, Cody, Timmy Tomcat, Socks, Clementine, Brian, Gracie, Tommie, Moosey, Charlie Rascal, and Bambino.
. 7 August 2013 ~ Lazy Hazy Crazy Days of Summer hosted by Gracie. 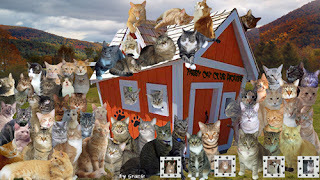 Nineteen tabby kitties shared their summer photos: Silver Meow, Spyro, Oja, Pia, Dexter, Willow, Grace, Hannah, Lucy, Gracie, Charlie Rascal, Moosey, Socks, Oui, Timmy Tomcat, Kizzie, Cody, Abbi Leah, & Raz.
. 26 August 2013 ~ What I Did on Summer Vacation hosted by Oui Oui. Fifteen members posted their photos and told us about how they spent their summer days: Raz, Socks, Oui Oui, Kjelle Bus, Silver Meow, Honey Delite, Gracie, Timmy Tomcat, Derby, Ducky, Dexter, the Colehauscats, & Clementine. 26 August 2013 ~ 800th Posted ~ by Derby & Ducky "What We Did On Summer Vacation."
. 27-30 August 2013 ~ The Third Annual Blogosphere Trip to Paris. This fun event is an annual trip planned by Gracie. Everyone in the blogosphere is invited to join in on the traveling and post about their trip. 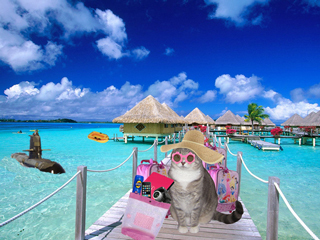 Many packed their bags and nine tabbies shared their photos here at the club: Raz, Gracie, Timmy Tomcat, Silver Meow, Moosey, Oui Oui, Dexter, Willow, & Socks.
. 25 September 2013 ~ Driving The Mom or Dad Crazy. Hosted by Oui Oui. 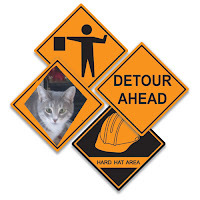 There are many ways to drive the humans crazy and twelve furries participated in the really fun event: Raz, Timmy Tomcat, Socks, Oui OUi, Gracie, Swami Zoe, Kjelle Bus, Derby, Ducky, Bambino, Silver Meow, & Clementine. 19 September 2013 ~ Tabby Cat Club Quiz hosted by teacher Gracie. Nine tabby members studied hard and received A+ on their quiz: Silver Meow, Oui Oui, Socks, Willow, Moosey, Raz, Timmy Tomcat, Honey Delite, & Swami Zoe. Two perspective tabbies took the test and also received A+: Sonora & Chilli. 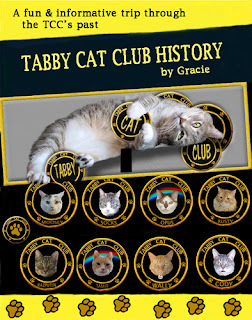 30 September 2013 ~ Tabby Cat Club 100 Membership Party hosted by Gracie & Raz. Today our club hit a milestone when we introduced two new members, Sonoro & Chili, making our membership hit the 100 mark. We are officially the largest and active club in the blogosphere. 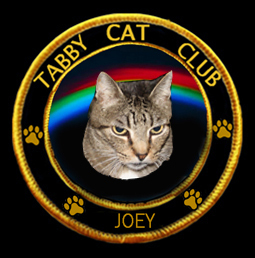 All the tabby kitties that have joined the club and the friends who visit us make this the bestest of the best club to be in. A big THANK YOU TO my staff, Raz: Executive Director & Events Planner, Socks: Technical Support, Williow, Dexter, Clementine, & Crepes: Recruiters, and our many members for all your help at the club. No onto the next 100 and grow to 200+! 28 October 2013 ~ Halloween Dress Up Day hosted by Gracie. So many goblins came out today and participated in dress up day at the club. We had three special guests: Angel Tamir, brother of Raz; Gracie and Zoe, siblings of Moosey. 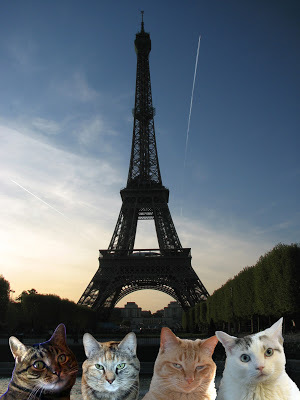 Also, in attendance was: Clementine, Swami Zoe, Crepes, rocky, Timmy, Miss Fitz, Mickey Mouser, Oui Oui, Socks, Honey Delite, & Cody. 30 October 2013 ~ Halloween Party hosted by our event coordinator, Raz. 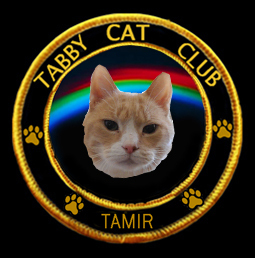 You didn't need to be a tabby cat club member to join in on the fun. Many kitties joined in on the Halloween fun: Katie Katz, Sammy, Gracie, Socks, the cats from Fuzzy Tales, Basil, Cat in the Fridge, Swami Zoe, Cody, Timmy Tomcat, Moosey, Clementine, Samantha, Angel Maverick, and the whole gang from Colehauscats. 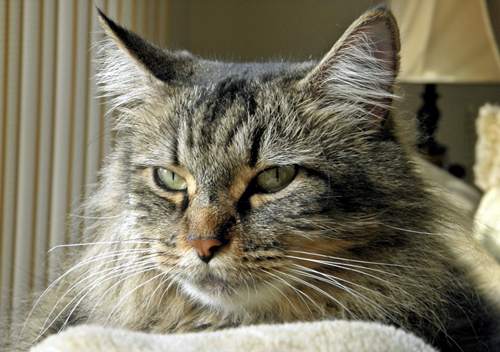 7 November 2013 ~ Downton Tabby hosted by Gracie. It was high tea at Downton Tabby and eight of our best dressed tabby kitties attended this lovely event, even my dear friend Liz (aka Queen Elizabeth) was there: Raz, Socks, Sammy, Silver Meow, Dinnermintz, Pickles, and Charlie Rascal. 18 November 2013 ~ Movember fun was such a fun event hosted by Sonora and Chili with thirteen tabby kitties had moustachses on their cute furrie faces: Silver Meow, Swami Zoe, Alice Marie, Gracie, Dexter, Willow, Oui Oui, Sammy, Socks, Kjelle Bus, Timmy Tomcat, and Raz. 2 February 2014 ~ Super Bowl Party XLVIII hosted by Raz & Gracie with eleven posting: Keshia, Dexter, Sammy, Kjelle Bus, Timmy, Miss Fitz, Socks, Swami Zoe, Dinnermintz, and Pickles. February 2014 ~ Winter Games hosted by Gracie & Raz with nine cathletics participating: Timmy, Miss Fitz, Kjelle Bus, Dinnermintz, Pickles, Grace, Sammy, and Mickey Mouser. 14 February 2014 ~ Valentine's Day Party hosted by Oui Oui with fourteen posting lovely Valentine's greetings: Raz, Timmy, Nissy, Kjelle Bus, Swami Zoe, Keshia, Woody, Dexter, Sammy, Pia, Moosey, Clementine, Kizzie, Dinnermintz, & Pickles. Doing our history is a great idea Gracie. But then you are full of great ideas like starting the TCC. This is a wonderfur idea! Cannot wait for more! Purrs Gracie you are the Best! Gracie, I can't believe all the naps in lovely sunpuddles you must have given up to do all this work! You are one amazing kitty! 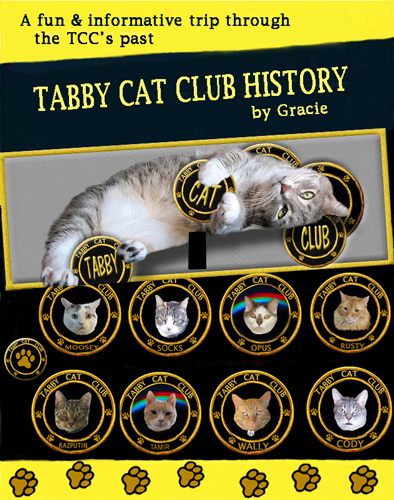 You've done a wonderful job Gracie and I am so proud to be a Tabby Cat Club Member. Thank you and your assistant for all your hard work. Wow Miss Gracie how do remember all this hiss-story??? Thanks for me being in a picture, but I'm not wearing any socks... wink,wink! Thanks everyone for your kind words. The mom is going back through the blog to get the information. You all know here we don't have the memory for all of the information. Hey Dex, I just caught the typo when I was adding to the book. Correction made. Thanks Gracie for doing the History of our Club!! I got to get mom to do more posts for me!